The competition is open to those who are interested in working towards solving any of the persistent problems of the fish value chain in these countries. And recently, there has been an explosion of fish farmers in Nigeria. 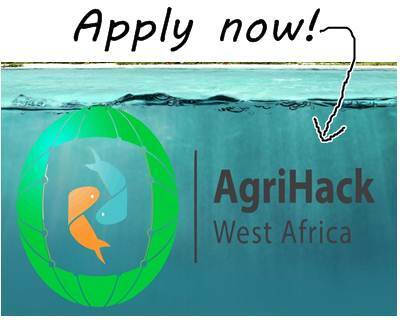 So AgriHack West Africa 2016 aims to add value to the way fish is farmed in West Africa. AgriHack West Africa 2016 is an ICT4Ag intervention project aimed at delivering commercially viable solutions to challenges resilient in the fish farming value chain in West Africa and also with a shared goal of building youth capacity in agricultural entrepreneurship as with previous editions. innovative measures deployed in agriculture in Nigeria and West Africa at large, the AgriHack West Africa is for you. Build a team of not more than 3 members and head on to developing agriculture in Nigeria. According to the website, having a female member in the team is also an added bonus. I am applying are you?